Did you know that the king cobra snake has enough venom in each bite to kill an elephant? Learn all about the world’s most dangerous animals–including tiger sharks, black widow spiders, and polar bears–in this fact-filled Level 3 reader. Thanks! I had a great time visiting Grange Hall Elementary yesterday. Happy Reading! hi! 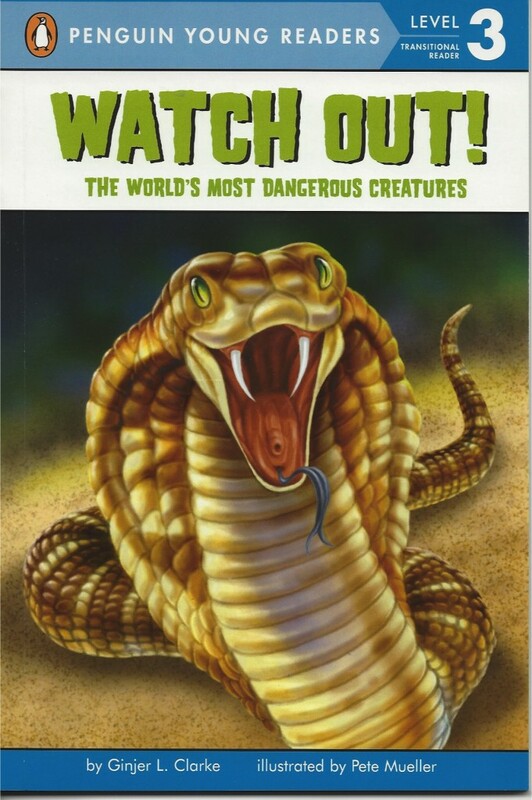 you came to my school on march 24 and the book WATCH OUT is also about snakes, my teacher is afraid of snakes! Hi there! I had a great time at your school, and I think you’ll really enjoy reading Watch Out! when it comes out in August. Tell your teacher that only the King Cobra is in the book, but there are lots of other cool animals in the book too. Happy Reading! This book is awesome. It is one of the best books ever. By the way can you even do books 📚 in mythology animals?Plus this book was sooo creepy!